Youngite - A Brecciated Jasper with Durzy Quartz "RARE"
The Drusy Quartz in gray covers the Jasper, making for an interesting piece. Mined in Guemsey, Wyoming. It fluoresces lime green under a short wave light. * Five smaller pieces have just been purchased and are available. Call or email for a photo and price. 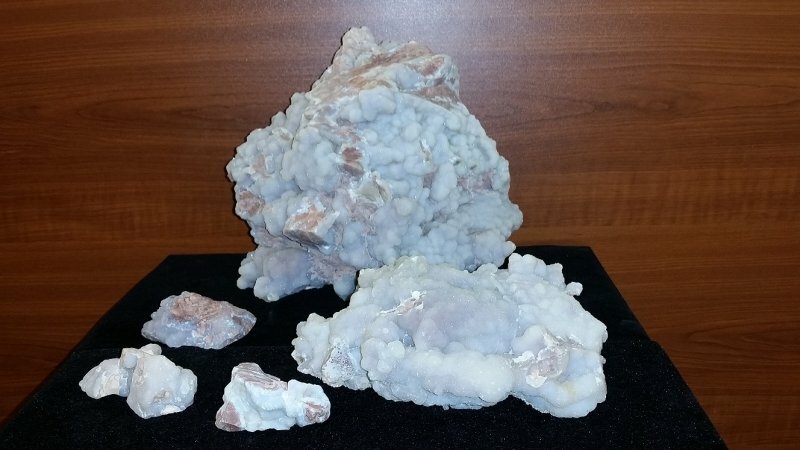 These were mined 40 years ago and recently the collection was sold.